Current: What is Agile Software Development? 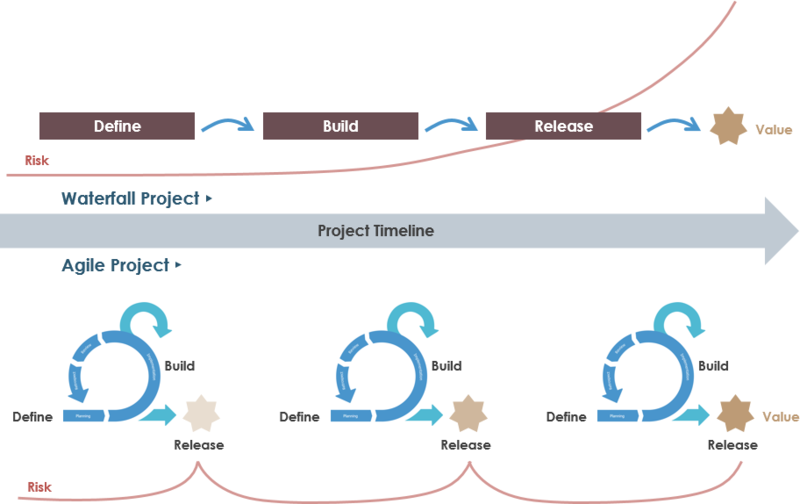 Agile is a term used to describe approaches to software development emphasizing incremental delivery, team collaboration, continual planning, and continual learning, instead of trying to deliver it all at once near the end. Agile focuses on keeping the process lean and creating minimum viable products (MVPs) that go through a number of iterations before anything is final. Feedback is gathered and implemented continually and in all, it is a much more dynamic process where everyone is working together towards one goal. Scrum is a framework within which people can address complex adaptive problems, while productively and creatively delivering products of the highest possible value. It is used for managing software projects and product or application development. Its focus is on an adaptive product development strategy where a cross-functional team works as a unit to reach a common goal within 2-4 weeks (Sprint). It consists of a collection of value, artifacts, roles, ceremonies, rules and best practices. Kanban is a highly visual workflow management method that is popular among Lean teams. In fact, 83% of teams practicing Lean use Kanban to visualize and actively manage the creation of products with an emphasis on continual delivery, while not overburdening the development team. Like Scrum, Kanban is a process designed to help teams work together more effectively. Kanban promotes continuous collaboration and encourages active, ongoing learning and improvement by defining the best possible team workflow. 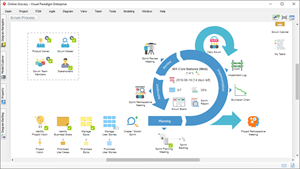 DSDM is a framework that is made up of eight principles, a lifecycle and products, roles and responsibilities and several best practice techniques. These underpin and support a philosophy of delivering strategically aligned business benefits as early as possible to give an organization the best possible return on investment (ROI). There are eight principles underpinning DSDM Atern. These principles direct the team in the attitude they must take and the mindset they must adopt to deliver consistently. Extreme Programming (XP), originally described by Kent Beck, has emerged as one of the most popular and controversial Agile methodologies. XP is a disciplined approach to delivering high-quality software quickly and continuously. It is intended to improve software quality and responsiveness in the face of changing customer requirements. It promotes high customer involvement, rapid feedback loops, continuous testing, continuous planning, and close teamwork to deliver working software at very frequent intervals, typically every 1-3 weeks. The methodology takes its name from the idea that the beneficial elements of traditional software engineering practices are taken to “extreme” levels. As an example, code reviews are considered a beneficial practice. Taken to the extreme, code can be reviewed continuously through the practice of pair programming. The original XP method is based on four simple values – simplicity, communication, feedback, and courage. Every project will have its own unique model, which will result in a feature list. The last three activities are short iterative processes, with a feature not taking longer than two weeks to build. If it will take more than two weeks, then it will have to be broken down into smaller features. The term “Agile” was coined in 2001 in the Agile Manifesto. The manifesto set out to establish principles to guide a better approach to software development.The Agile Manifesto consists of 4 important values. The way to read the Agile Manifesto is not that the items on the right side have no value anymore, but the Agile movement values the items on the left more. So let’s take a look at the first line of the Agile Manifesto. This line states that we value people, their interactions, communication and collaboration more than having all sorts of extensive processes and tools in place. Of course processes and tools are valuable, however, they are much more valuable if they actually support people working together and delivering great products. What we see in a lot of organizations these days, is that the processes and tools are the goal themselves. From an Agile perspective, we value this differently. Processes and tools should be supporting people in working together and delivering value to customers. The best architectures, requirements, and designs emerge from self-organizing teams. At regular intervals, the team reflects on how to become more effective, then tunes and adjusts its behavior accordingly. Agile Development is one of the big buzzwords of the software development industry which is a different way of managing software development projects. 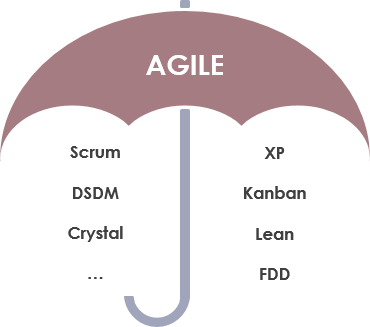 Rather than a specific software development method, it is an umbrella term for a set of methods and practices based on the values and principles expressed in the Agile Manifesto. Solutions evolve through collaboration between self-organizing, cross-functional teams utilizing the appropriate practices for their context.